Legal Disclaimer: ESTA-america.org is operated by a private company not affiliated with the U.S.A. Government. Are you planning on traveling to the United States for holiday, business or medical reasons? 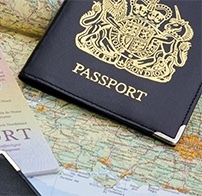 The Visa Waiver Program (VWP) allows passport holders from selected countries to visit the United States by applying for an electronic visa in advance. Each visit to the USA under the Visa Waiver Program can last for up to 90 days without having to leave the country. The visa application process is only available online, and our website specializes in reviewing and processing e-visas to the United States for all eligible travellers. Travellers with passports from the countries listed below can apply for the USA e-visa if all criteria’s are met. The application process takes 10-15 minutes per person through our website, and several passport and travel details are required to apply. Our Customer Support Department is available at any time to help you with questions or concerns regarding the application process. We normally review and process all e-visa applications the same day. Check the list of countries below to see if you are eligible. If you are, simply apply through our online ESTA Application Form and secure your ESTA Travel Authorization.